Based on a batch of documents released in the Skyhook/Google lawsuit, it seems that Google’s Andy Rubin is not only the boss of Android, but the boss of just about everyone in the Android ecosystem. Freshly unsealed court docs reveal that Google is using Android’s “compatibility standards” to bully OEMs into choosing Google products for their smartphones. However, Skyhook Wireless is alleging that Google’s control over Android wasn’t to protect its operating system, but to put a foot on the neck of its competitor. 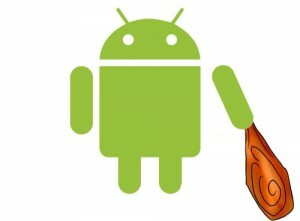 In April of 2010, Motorola chose Skyhook’s location-based services over Google’s for a new line of Android phones. The decision was reversed in less than three months. The same story played out with Samsung, too. Upon news of the Skyhook win with Motorola, an Android product manager Steve Lee offered up a reason for the deal in an email, writing “Skyhook […] is a hungry start up […] actively engaging and selling. Google hasn’t prioritized ‘selling’ it so it is easy to be outsold.” As word of the Skyhook/Motorola deal made its way around Google offices, the tech giant knew it needed to find a way to positively spin the loss of business. My only question is: if throwing out “Android compatibility” was all it took, why didn’t you start with that strategy in the first place, Google?